It’s terrifying to think that some people would actually believe that because they saw it on Twitter this morning. It appears as if Shaw was correct. Of course, it would be swell if everything we read on Facebook, Twitter, Instagram, etc was true; unfortunately, that’s not the case. When it comes to the Internet, we as college students need to develop somewhat of a misanthropic approach. Start doubting posts that seem unbelievable because most of the time they aren’t true! Misinformation can be extremely detrimental to our society. People are becoming so brainwashed by the Internet that pretty soon we’re going to turn into mindless zombies. Henry Schissler, a Sociology professor here at HCC, offered his opinion as to why the spread of false information occurs so often in society. “False knowledge has been spread long before the Internet, but the Internet made the spread of it more rapid because anyone can post anything in a matter of seconds,” he said. Just because you saw a post for the fifth time this week doesn’t mean it is necessarily true. 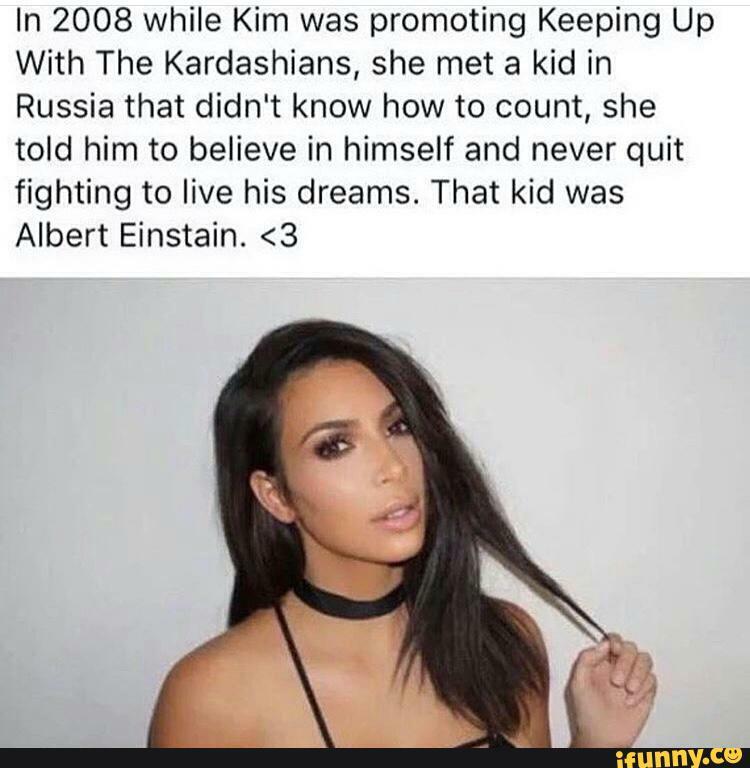 Popular meme of Kim Kardashian spreading misinformation. We need to start thinking more critically about what we see online. Critical thinking should not only apply to our academic lives; it also needs to be applied in our everyday lives. Question things before instantly believing them, and begin looking more deeply into things. It’s important to develop a healthy sense of skepticism. One will not be a pro a this overnight, but the more we begin to be aware of this, the more skepticism we should develop. Professor Hughes provided some tips students can use to start becoming aware. “It helps students to develop patience and sustained attention in their quest for useful, legitimate and credible sources,” he said.